Solemnity of Our Holy Father Norbert! 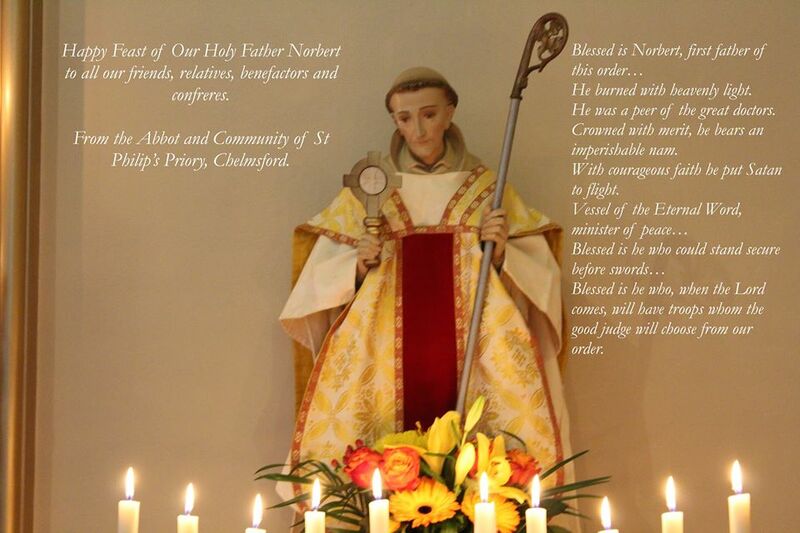 Please join us in praying to Our Holy Father Norbert as we prepare to celebrate his feast day. We thank God for the gift of so zealous and devoted son, and pray that He will continue to bless us with vocations who, like Our Holy Father, lift high the Blessed Sacrament above all the errors and miseries of the world. 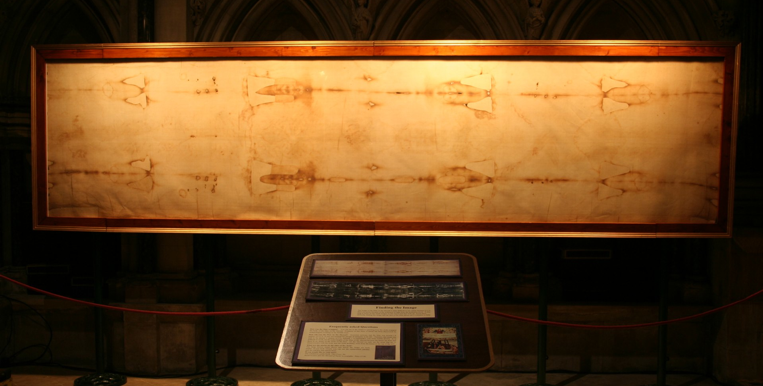 We are delighted to announce that from Monday 5th March until Sunday 11th March Our Lady Immaculate Church, Chelmsford, will house the travelling exhibition on the Holy Shroud of Turin, this includes a full-size replica of the Holy Shroud. This will be a wonderful opportunity during the season of Holy Lent to meditate on the Passion and Death of Our Lord and Saviour. Please support this initiative with your prayers, and join us if you are able. The church will be open every day from 0700-2000. 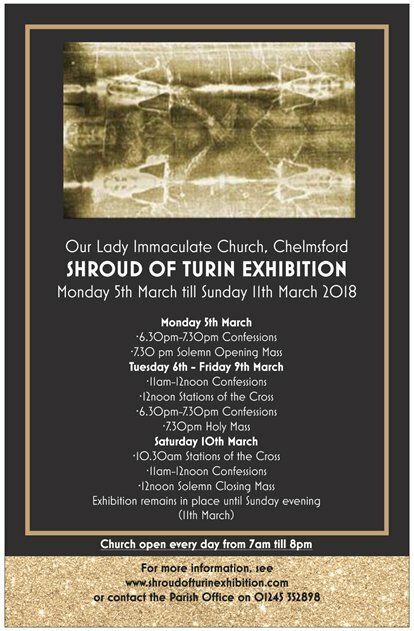 If you would like to arrange to a group to come and visit the exhibition please contact our parish office: office@chelmsfordcatholic.co.uk; 01245 352898. ADALBERT, Blessed Son of King Vladislaus II of Bohemia. Canon of Strahov then Archbishop of Salzburg. ADRIAN AND JAMES, Saints (The Martyrs of Gorcum) Adrian Jansen was a canon of Middelburg and after service as novice master he was twice appointed the pastor of the abbey’s parishes. James Lacops was a canon of the same abbey who had joined the Calvinists, but he repented and returned to the abbey where he entered upon a life of penance. He was later appointed a parish priest. Both priests were captured by Calvinists in 1572 and on 9th July of that same year they were hanged from the rafters of a barn together with seventeen other priests and religious. ADRIAN, Blessed Canon and prior of St. Michael’s, Antwerp. AGNES, Blessed From the family of the powerful counts of Berne. She became a Premonstratensian nun of the greatest humility. ALBERON, Blessed Bishop of Verdun, companion of the holy founders Bernard and Norbert founded St. Paul in Verdun. Resigned in 1156 and became a Premonstratensian at St. Paul’s. He lived for two years in the utmost simplicity and humility as a devote follower of the Rule. As he had predicted as died on the 2nd November 1158. ALDERIC, Blessed From a wealthy French family, became a pauper for Christ as a lay brother in the monastery of Fuessenich. Went to his heavenly reward 6th February 1250. ANASTASIA, Blessed Duchess of Pomerania and foundress of the convent of Treptow which attracted great numbers of holy women. ARNOLD, Blessed Parish priest of Ninove. ARNULPHUS, Blessed Lay brother in the Canonry of Ninove. AUCULPHUS, Blessed Disciple of St. Norbert at Prémontré. Blessed Hugh made him first abbot of Joyenval. His holiness and good works were manifold and thus he merited the crown of the blessed in heaven. AUGUSTINE, Saint Confessor, Doctor of the Church and Bishop of Hippo. Appeared to Our Holy Father Norbert to deliver to him the Rule. BEATRIX, Blessed Canoness of Engelport. BESSELA, Blessed Wife of Blessed Folcold, Count of Berne. Foundress of the convent of Woerd. BRONISLAVA, Blessed Canoness of Krakow who practised great devotion to the Holy Cross. In a vision she was warned of the advance of the Tartars and was able to lead her sisters to safety. After the convent had been destroyed Bronislava and her sisters lived amongst the victims of the attack and ministered to their spiritual and physical difficulties. She died on August 29 1259. CASTAL, Blessed Prior of Siloe Zeliv. DANIEL, Blessed Canon and abbot of Nemore. DIDACUS, Blessed From Alba, lay brother of Alba de Tormes, St. Leonardo. DIDACUS, Blessed Last abbot-for-life of the monastery of St. Michael, Villamayor de Trevio. Reformer of the Spanish Circary. DODO, Blessed Canon of Mariangaarde. Stigmatist. DOMINIC, Blessed Brother of King Alphonse VII of Castile, founder and first abbot of the monastery of La Vid, Spain. DOMINIC, Saint Canon of La Vid, Spain. Founder of the Order of Preachers. EELKO, Blessed Twelfth abbot of Lidlum. Assassinated by his brethren when he protested at the laxity of their observance. Venerated as a martyr. ELIZABETH, Blessed Canoness and prioress of Herenthals. ENGLAND, Martyrs of Those canons, their names unknown to us, who suffered for the faith under the reign of King Henry VIII. Amongst them the canons of Barlings abbey and their abbot, Matthew Thomas Mackerel, Titular Bishop of Chalcedon, executed 29th March 1537. ENTO (OR ENTEUS), Blessed Second abbot of Mariengaarde. 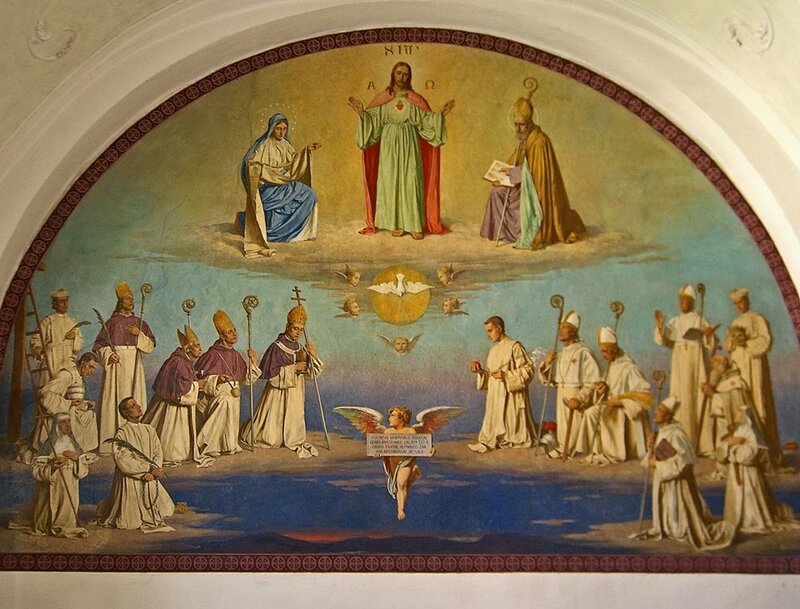 ERMENGARD, Blessed Freed from marriage and having renounced the world, founded the monastery of Cuissy where, with forty nuns, they led the Premonstratensian life directed by St. Norbert. A life of regular observance led to glorious virtues and Ermengard died a happy death. EVERARD, Blessed Canon of Marianweerd, made first abbot of Berne. EVERMODE, Saint Born in Cameraci, second disciple of St. Norbert and constant companion on all his travels. Became first prior of the Canons of Magdeburg and latterly consecrated first bishop of Ratzeburg, known as the ‘Apostle of the Wends’. Famed for his preaching and miracles, he went to his heavenly reward on 17th February 1177. FOLCOLD, Blessed Count, founder of Berne, where he served as a lay brother. FREDRICK, Saint First abbot and founder of Mariengaarde. GAREMBERT, Saint Canon of Mont-St-Martin. Founder and first abbot. Adorned by miracles and great sanctity he fell asleep in the Lord on December 31st 1141. GAUTIER (GALTERUS), Blessed Designated by St. Norbert the first abbot of St. Martin of Laon in 1124. Latterly bishop of Laon (after Bartholomew) for almost three years. By the time of his happy death he was renowned for his sanctity and virtue. GERARD, Blessed From Cambrai. Disciple of St. Norbert at Prémontré. In 1131 Blessed Hugh appointed him first abbot of the Canons of Clairefontaine. His life, virtues, words and holiness shone brightly. He completed his glorious life with a glorious end. GERLAC, Blessed Canon and later Prior of Milevsko. GERLAC, Saint A licentious soldier who devoted his life to Christ after the death of his wife. Pilgrim to Rome and Jerusalem. Returned to Holland to lead a hermit’s life, wearing the white habit of Prémontré, as he had been directed by Pope Adrian IV. Performed severe penances and wrought miracles. Went to his heavenly reward on January 5th 1171. GERTRUDE, Blessed Daughter of St. Elizabeth of Hungary. Promised to God by her parents she was brought to Altenberg at the age of one in 1228. Joined the community there and became abbess. Built the abbey. Renowned for her penance and service to the poor, she was a great propagator of the feast of Corpus Christi. GILBERT, Saint A crusader knight. Distributed his personal wealth to the poor and needy and thence financed the construction of an abbey for Norbertine nuns. His wife Petronilla and his daughter Pontia both entered this abbey and Gilbert himself entered the Order at our abbey of Dilo. He later built the abbey of Neuffontaines in 1150 and became its first abbot. GODESCAIC, Blessed Abbot of Mont St Martin, made bishop of Arras. GODFREY, Blessed Canon of Magdeburg, first prior of Arnstein. GODFREY, Blessed Disciple of St. Norbert and Canon of Prémontré. Blessed Hugh appointed him abbot of Valsecret in 1129. Through his sanctity and good works he merited eternal life. GODFREY, Blessed Nineteenth abbot of Steinfeld. Martyr. GODFREY, Saint From Cappenburg in Westphalia. Deeply moved by the preaching of St. Norbert he and his brother established the abbey at Cappenburg. His wife entered a community of canonesses and he and his brother went to Prémontré in 1125. Followed St. Norbert to Magdeburg but retired through ill health, dying on January 13th 1127. GRIMO, Blessed Second Prior of Ursberg. GUARIN, Blessed Prior of St. Martin at Laon, latterly first abbot of Vicogne and thence second abbot of St. Martin at Laon. GUDA, Blessed Wife of Count Ludwig of Arstein, foundress and first prioress of the convent at Arnstein. GUIDO, Blessed A Briton from a noble family. Founder of the monastery of Vicogne where he became a canon. GUIDO, Blessed Count of Branens. Became a lay brother at Prémontré. HADWIG, Blessed Devoted to her mother, who consented to her entering the convent of Meer. Known for piety and sanctity. HAITONUS, Blessed Descendent of the royal family of Armenia, Canon on Cyprus. HAYTO (OR MACARIUS), Blessed From Armenia, canon of Bellapais, Cyprus. 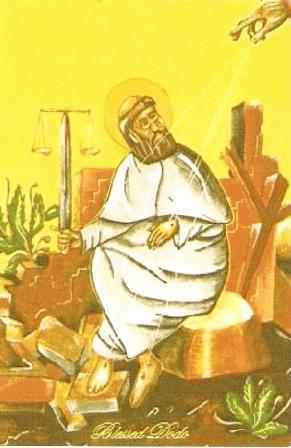 HELINUS, Blessed Seventh abbot of Floreffe, then abbot of Saint Habbakuk in Palestine. HENRY ZOLICK, Blessed Founder and first prior of Strahov, bishop of Olomuc. HENRY, Blessed Born in Rheims, Canon of Prémontré and disciple of St. Norbert, made first abbot of the Canons of Valsery in 1124. He led a heavenly and holy life. HENRY, Blessed Count of Arnburg and founder of Arnsberg-Wedinghausen where he lived as a lay brother. HERMANN JOSEPH, Saint Canon of Steinfeld. 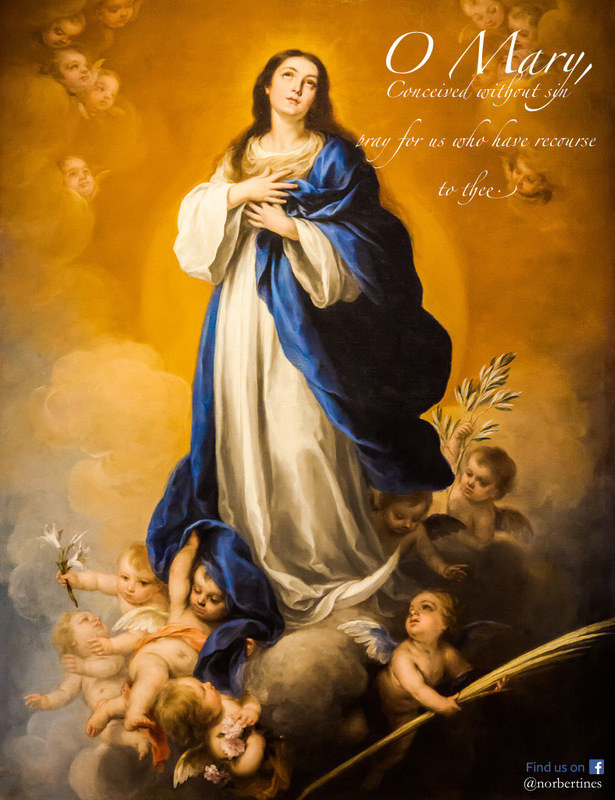 Renowned for his tender devotion to the Blessed virgin in whose honour he composed prayers and hymns. Graced by ecstatic visions in which he was mystically espoused to Mary. He went to his heavenly reward on 7th April 1241. HERMANN THE JEW, Blessed Convert to Christianity from Judaism. Canon of Cappenburg, made first Prior of Scheda. HERMANN, Blessed Fourth abbot of Floreffe. HERMANN, Blessed Son of Blessed Hildegund. Fourth Prior of Cappenburg. HESCELINUS, Blessed Subprior of Ninove. HILDEGUNDE, Blessed Countess, founded Meer in 1165 and became its first prioress. HROZNATA, Blessed Born in 1170 to a noble family of Bohemia. After the death of his wife and child he founded the abbey of Tepl and the convent at Chotieschow. Received the white habit at the hands of Innocent III. Entered Tepl as a lay brother. Starved to death by the enemies of the Church. HUGH OF FOSSE, Blessed First disciple of St. Norbert. Born at Fosse, Belgium. 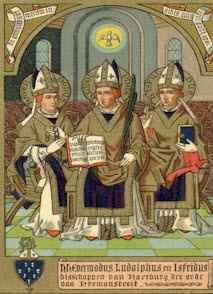 In 1119 he met and began to follow St. Norbert, first on the preaching missions in Hainault and Brabant. 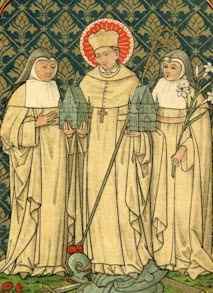 Succeeded St. Norbert as Abbot General of the Order in 1129. Known for his zeal for souls and glorious sanctity, he died on 10th February 1164. ISFRID, Saint Provost of Jerichow and successor of Saint Evermode as second bishop of Ratzeburg. Known in life and in death for his miraculous healings. IVO, Blessed From Soissons. Attracted by St. Norbert’s sanctity and piety he, with his pious wife Heluide, their two sons and a daughter became a Premonstratensian in 1124, with the approval of Lisiardo, bishop of Soissons. A lay-brother known for his patience, humility and a crown of other virtues, he went to his heavenly reward in 1136. JAMES KERN, Blessed Canon and priest of Geras, Austria. He had been training at a diocesan seminary at the outbreak of the First World War when he was drafted into the Army. during his time of active service he was badly wounded and his afflictions would cause his continuing physical pain throughout his life. Despite these sufferings James returned to the seminary at the end of the War and proceeded with his studies. At the same time a Norbertine canon, Bogumil Zahradnik had become a leader of the schismatical Czech National Church. James was moved to offer himself to the Norbertine Order in atonement for the sins of this priest and he was duly accepted as a novice at Geras. Ordained priest in 1922 James continued to bear his pains with great courage and determination, all without a word of complaint. He entered into his priestly ministry with great enthusiasm, especially in hearing his confession and his work with young people. After many struggles, physical and spiritual, James went to his eternal reward on October 20th 1924. He was beatified by John Paul II on June 21st 1998. JAMES, Blessed Canon and twenty-first abbot of Steinfeld. JAMES, Blessed Novice of the canonry of Ninove. JEAN D’AUELOIS, Blessed Fifth abbot of Floreffe. JOHN II, Blessed Abbot of Prémontré. JOHN OF ORGANIA, Blessed Canon and Abbot of Bellpuig. JOHN, Blessed Abbot of the Royal Canonry of Strahov, thence archbishop of Prague. JOHN, Blessed Made superior of the monastery at Wurzburg by St. Norbert in 1126. Admired for his holy life and propagation of the Premonstratensian life, of which he was an ardent disciple. JULIANA, Saint Nun of the convent attached to the abbey of Mont-Cornillon at Liege. 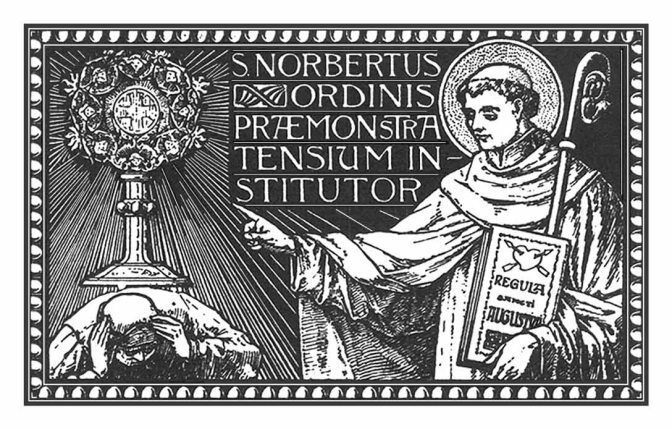 Promoted devotion to the Blessed Sacrament, which inspired St. Thomas Aquinas. She urged Pope Urban IV to extend the feast of Corpus Christi to the universal church. She went to her heavenly reward in the year 1252. LAMBERT OF LIEDEKERKE, Blessed Canon of Ninove. LUDOLPH, Saint Canon and later bishop of Ratzeburg. A strict observer of the religious life he was an exemplary pastor of his flock. Thrown into prison when he refused to surrender the cathedral properties to Prince Albert of Sachsen-Lauenburg he died from maltreatment shortly after his release. Venerated as a martyr for the rights of the church. LUDWIG, Blessed Count, founder of Arnstein and lay brother there. LUKE BARTHOLOMEW, Blessed Dean of the diocese of Laon, rejected the vain pleasures of the world to enter the Premonstratensian Order. St. Norbert made him first abbot of the monastery at Cuissy in 1127. Famed for his virtue and merits and great innocence of life. LUKE, Blessed Follower of St. Norbert at Floreffe. St. Norbert designated him first abbot of the monastery of Mont-Cornillon at Liege. He was known for his writings and teachings, which he combined with a life of great sanctity. MILO, Blessed A Canon of Prémontré, formerly a nobleman of Amiens, who left his home to follow the religious life. 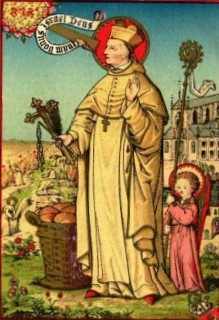 St. Norbert directed him and made him first abbot of the Canons of St. Judocus at Dommartin in 1123. Later made Bishop of Therouanne. His humility and teaching resulted in glorious sanctity which earned for him a heavenly crown. MILO, Blessed Canon of Auxerre, St. Marianus and later fourth abbot. NORBERT, Saint Founder of the Premonstratensian Order, born in Xanten, Germany in 1080. Founded the Order at Prémontré, France in 1121. Reluctantly assented to become Archbishop of the See of Magdeburg in 1127. Glorious for his virtues and miracles, he fell asleep in the Lord in the year 1134. ODA, Blessed Prioress of the convent of Bonne Esperance. ODINO, Blessed Prior of Rot. ODO, Blessed A wealthy citizen of Laon who renounced the world to become a pauper for Christ and a Premonstratensian under the care of St. Norbert and Blessed Hugh. First abbot of Bonne Esperance in 1129. Possessed innumerable virtues and sanctity through which he attained eternal life. ONULPH, Blessed Canon of Berne. OTTO, Blessed Brother of Blessed Godfrey of Cappenburg and third prior there. PALESTINE, Holy Martyrs of Aegidius (Giles) de Marle and 26 Companions Norbertines of the Abbey at Acre. St John at Acre was the home to Premonstratensians who had fled the houses of St. Habbakuk and St. Samuel after attacks by Moslem forces which had killed the majority of religious. Those who fled came to Acre which itself fell at the hands of Saladin. On November 8th 1291 Abbot Aegidius was cut into pieces before the eyes of his brethren so as to induce them to renounce their faith, none did so and thus they went to their deaths as martyrs for the faith of Christ. PETER VON KALMTHOUT, Blessed Canon of Tongerlo. Parish priest at Haren. Martyred in 1572 at the hands of Protestants. PETRONILLA, Blessed Wife of St. Gilbert. Foundress and first prioress of Aubeterre. 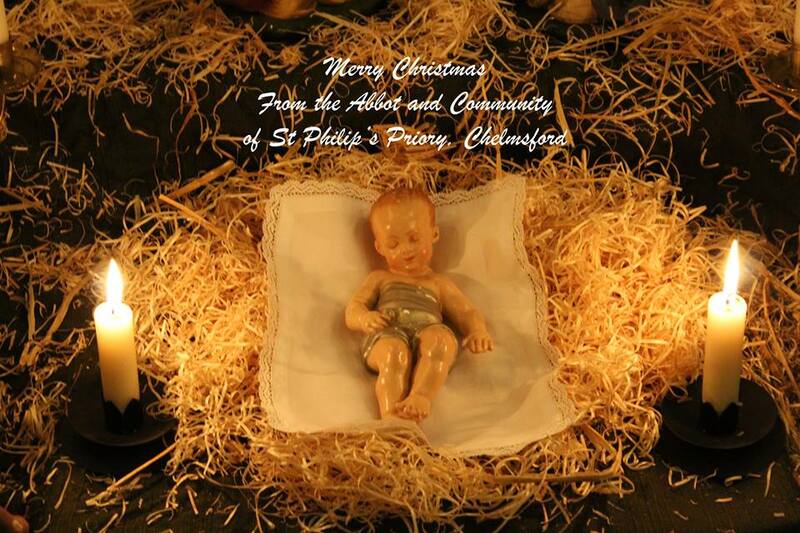 PHILIP, Blessed Second Abbot of Bonne Esperance. PONTIA, Blessed Daughter of St. Gilbert and Blessed Petronilla, she succeeded her mother as prioress at Aubeterre. RABODO, Blessed Canon of Parc. RADULPHUS, Blessed Canon of Vicogne, made first abbot of Chateaudieu and later abbot of Vicogne. RAINERUS, Blessed FromPrémontré, he was made first abbot of the monastery of Auxerre, St. Marianus. REDIGUND, Blessed Canoness of St. Michael, Villamayor de Trevio. RICHARD, Blessed An Englishman, canon of Arnsberg. 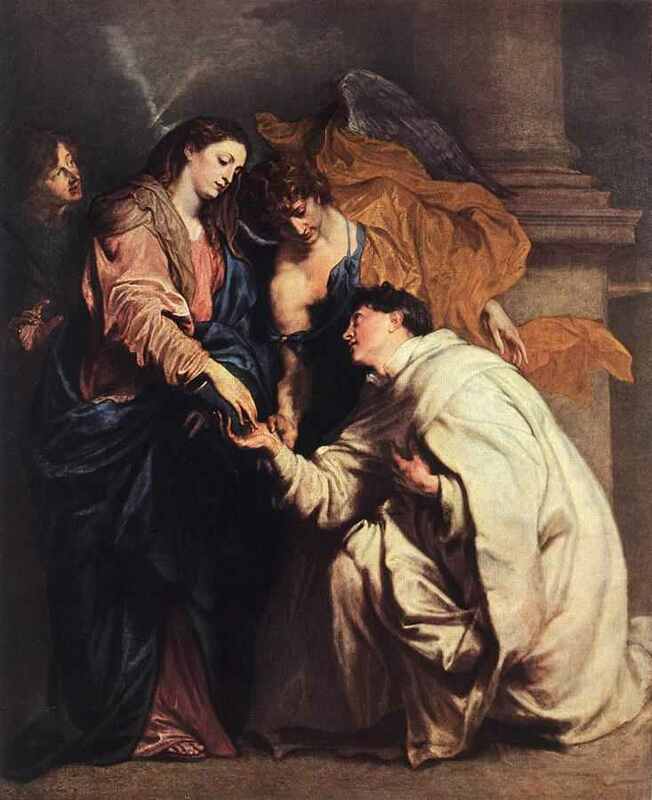 RICHARD, Blessed Companion of St. Norbert. From Prémontré St. Norbert designated him first prior of the Monastery of Floreffe in the year 1122. Led a praiseworthy canonical life which ended with glorious sanctity, meriting the crown of eternal happiness. RICHARD, Blessed Disciple of St. Norbert at Prémontré. Blessed Hugh appointed him first abbot of Pont-au-Mousson in 1131. His life was marked by piety, patience and humility. He was entirely crucified to the world and through his good works many souls returned to God. RICUERA, Blessed A noblewoman of Vermandois, she rejected the proposal of an advantageous marriage and in 1121 put herself under the direction of St. Norbert. Known as the first Premonstratensian nun. She led an admirable life, marked by sanctity and virtue which ended with a beautiful death. ROBERT, Blessed From England. Canon of St. Martin at Laon, made first abbot of Marienweerd. ROGER, Blessed Canon of Prémontré. Blessed Alberon, Bishop of Verdun, made him first abbot of the monastery of St. Paul at Verdun in 1136. He excelled in virtue and displayed great sanctity, the fame of which spread far and wide. Succeeded in attracting more than three hundred souls to his monastery. SIARD, Saint Abbot of Mariengaarde, received the habit at the hands of Saint Frederick. Famed for his penance and mortification, particularly his labours in the fields. A great friend of the poor, he went to his eternal reward on November 13th 1230. TAUKERED, Blessed A Briton, Canon of St. Judocus at Dommartin. Made first Prior of the canons at La Luzerne. THEODORE, Blessed Canon of Berne, made prior of Woerd. THEODORE, Blessed Count, Canon of Prémontré, made second abbot of St. Paul at Verdun. THOMAS (OR LAWRENCE), Blessed Canon of St. Matin, Laon. ULRIC, Blessed From Ratzeburg, where he was eleventh bishop. WALTER, Blessed Abbot of Vicogne. WALTMANN, Blessed Disciple of St. Norbert. Aided Our Holy Father in combating the Sacramentarian heresy of Tanchelm. Designated first prior of the monastery of St. Michael at Antwerp in 1124. So great were his sanctity and his glorious teaching that he merited the kingdom of heaven. WILHELM EISELIN, Blessed Canon of Roth. WILLIAM, Blessed Abbot of Vicogne. WIPERTUS, Blessed A canon of Ratzeburg and seventeenth bishop. WOYZLAVA, Blessed Sister of Blessed Hroznata. A widow, she helped in the founding of Chotieschow and there entered the Order.